Despite predictions that March '10 would see the company turning a profit, Namco-Bandai is now expecting heavy fiscal losses, and will be reducing its work force accordingly. The only word that comes to mind here is "Ouch": Initially, Namco-Bandai's fiscal masterminds predicted that the company would see a profit of Â¥8.5 billion ($93 million) as of March 2010 (presumably referring to fiscal year '09). Unfortunately, the company has revised said estimate downward: very downward. Instead of the hoped-for $93 million profit, Namco-Bandai number-crunchers now estimate that the company will be posting a loss of Â¥31 billion ($342 million). In other words, the estimate was off by over $400 million - clearly, somebody's getting fired over that. 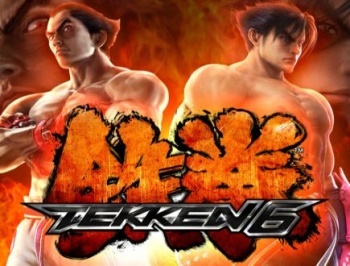 And, apparently, they're taking over 600 of their coworkers with them: Namco expects to reduce its headcount by 630 (out of an estimated 7,000 employees) over 2010 to compensate for financial difficulties. The only reason given for this dramatic turn in fortunes is "poor performance of key titles," according to Kotaku, though none of these "key titles" are mentioned by name. Nor is it clear whether this just refers to the company's performance in its native Japan, or this loss accounts for all Namco-Bandai titles worldwide. If the former, we recommend not launching Tales of Graces a week before Final Fantasy XIII next time around. If the latter... well, okay, I don't know what I'd recommend Namco-Bandai do differently in regards to the West, but it's still probably a bad idea to pit your latest Tales game head-to-head with Final Fantasy. Alas, it looks like Dynasty Warriors Gundam 2 and Tekken 6 just didn't cut it.